There are lots of reasons why you should get excited about Ikko Trader. Another white label of SpotOption, we offer the most professional, most objective and simplest financial tool for trading binary options. One of the pioneers and ongoing leaders in the industry, we put all the efforts to be the first choice for traders who are looking for an innovative way to make money online. When talking about Ikko Trader, the first thing that comes in mind is the simple yet professional Ikko Trader trading environment. Boasting a user-friendly interface, even those with little or no financial background can trade options in an instant. Take advantage of our special features to help you maximize your profits and optimize your trading skills as well. Ikko Trader prides itself on its variety of features and tools for you to choose from, including One Touch option, Double Up and Rollover. These features are proven to increase your profits and reduce your loss at the same time so you get the most out of your investment. Not to mention our extensive range of assets available for trade, including those from the leading financial markets – Forex, stocks, commodities and indices. Listed in our asset index are the trading hours, general information about these assets and expiry rate rules. Another interesting fact about Ikko Trader is our unique promotions open to all traders. From the moment you join us, we always make sure that you get your money’s worth with our exclusive promotional offers that are sure to spice up your trading experience. 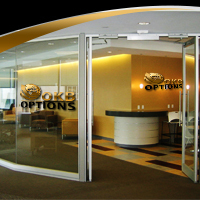 Just think of it as our way of expressing our sincerest gratitude for choosing Ikko Trade as your binary options platform. Aside from our incredible payouts, we also have special Ikko Trader bonus, insured trades, progressive bonuses, Refer-a-Friend and VIP advantage accounts. We fully understand that there’s no substitute for personal service. Rest assured that our team is on hand to provide reinforcement on your trades 24/7 to ensure your trading experience with us will be as smooth and profitable as possible.